The delightfully quirky All Day Entertainment is releasing a series of discs that will have fans of classic horror movies drooling (All Day is also the company that resurrected The Asphyx). 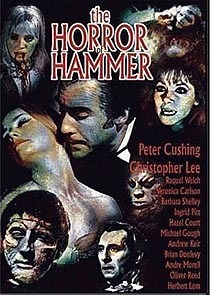 The Horror of Hammer celebrates the Hammer studio by compiling more than fifty original theatrical trailers. A similar disc was previously released by Anchor Bay (originally as a promotional item, and later as a bonus disc with the first pressing of Blood From The Mummy’s Tomb), but All Day's new disc is much more comprehensive. It also contains an optional running commentary from a group of Hammer enthusiasts, and so forms an altogether more cohesive offering. The trailers are in wildly variable condition (most are pretty rough, as might be expected), but – although a pristine presentation would be preferable - this adds somewhat to the period charm. The disc features trailers for some very rarely seen movies, including Stranglers of Bombay and Night Creatures, as well as two terrific short promotional featurettes, for Dracula AD ’72 and When Dinosaurs Ruled the Earth. Tales of Frankenstein is a fabulous video scrapbook containing more than twenty trailers, covering the original Universal films as well as later offerings like I Was A Teenage Frankenstein and Lady Frankenstein. 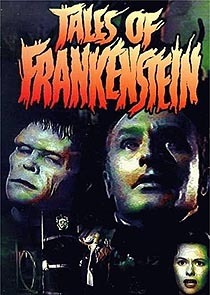 The core of the disc is the complete 1958 half-hour TV pilot Tales of Frankenstein, an intriguing, disastrous collaboration between Screen Gems, Columbia, Universal and Hammer. This is supported by an audio commentary, which provides ample background information for those unfamiliar with the production. Other highlights include a couple of clips from the infamous 1952 Lon Chaney TV show Tales of Tomorrow (Chaney was apparently drunk, and thought that the recording was a rehearsal), and lengthy audio interviews with Boris Karloff and Glenn Strange. 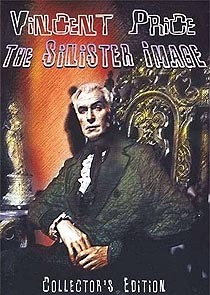 All Day's disc Vincent Price – The Sinister Image features a couple of lengthy interviews with the actor (a previously unseen 1987 video interview hosted by David Del Valle, lasting just over an hour, and an audio interview lasting forty-two minutes) at its core. Bonus material includes the pilot episode for a 1958 drama anthology series that Price would have hosted, and occasionally starred in: Half Hour To Kill - Freedom To Get Lost, a 1950 radio play (Escape! - Three Skeleton Key) and Shindig! - The Wild Weird World of Dr. Goldfoot (a half hour 1965 TV show promoting the release of Dr Goldfoot and the Bikini Machine, which features versions of some of the musical material that was cut from the finished film). The Sinister Image is a fine collection of materials that provides Price fans with an opportunity to see some very rare material, and offers some genuine insight into the man, his broad career and his craft. Unsurprisingly, the quality of the source materials is somewhat variable, but most of it is pretty good, and, apart from the audio interview (which was not intended for public presentation), never too distracting. A gallery of more than 200 stills is also offered. Although the discs have minor presentation glitches, genre fans will doubtless be thrilled and fascinated by this material, much of which would be almost impossible for the casual collector to find for themselves.